May is an exciting time for eyes. Not only do our eyes have to fend a bombardment of pollen, but they also have to contend with an increase in sunshine. After months of grey, overcast winter, sunny days are a most welcome prospect. But sunshine comes with its dangers. 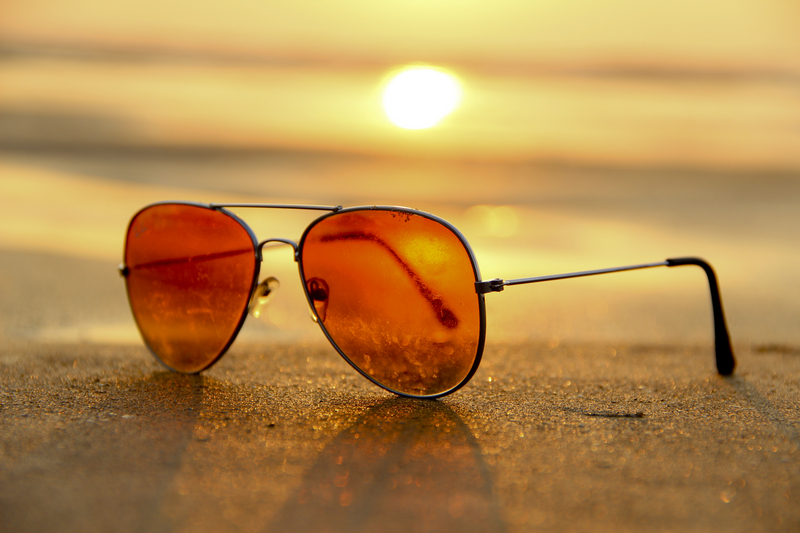 Some of the best selling sunglasses can protect you from the harm caused by UV rays. To bring attention to this potential danger, May has been declared Ultraviolet Awareness Month (May is also Healthy Vision Month). Ultraviolet (UV) light is the portion of the light spectrum just beneath what is visible by humans. While many of the effects of UV light upon humans can be negative, UV light also is responsible for the body’s formation of vitamin D, so it does have some beneficial effects. The most well know of UV light’s negative effects are related to the skin, including sunburn and forms of skin cancer. There is less public awareness, however, of UV light’s negative effects on our eyes and vision. The American Optometric Association (AOA) describes two types of negative effects caused by UV light on the eye: short-term problems caused by overexposure and long-term problems that can lead to permanent damage. Photokeratitis is a short-term condition that is described as ‘sunburn of the eye.’ It includes symptoms such as pain, intense tears, eyelid twitching, discomfort from bright light, and constricted pupils. Problems caused by long-term exposure to UV light include cataracts (a reduction of vision due to clouding of the lens of the eye), macular degeneration (blurring or lack of vision in the center of the visual field), and pterygium (benign growth of the conjunctiva). Like the precaution of applying sunscreen to the skin, there is a relatively simple precaution to prevent UV light damage to the eye: sunglasses. And the bonus is that, as opposed to slathering on sunscreen, with sunglasses you can make a fashion statement. Check out some of the best selling sunglasses for men and women. How the SVOne is detecting cataracts with remote Wavefront Aberrometry. What Is the Gold Standard: Subjective or Objective Refraction?